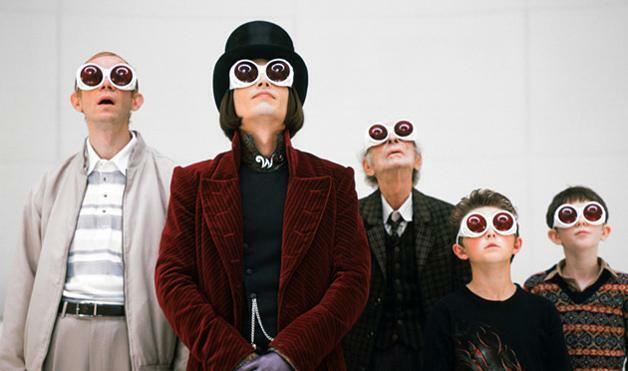 Charlie and the Chocolate Factory is a 2005 musical adventure film directed by Tim Burton. It is the second film adaptation of the 1964 British book of the same name by Roald Dahl and stars Johnny Depp as Willy Wonka and Freddie Highmore as Charlie Bucket. Development for another adaptation of Charlie and the Chocolate Factory, filmed previously as Willy Wonka & the Chocolate Factory, began in 1991, 20 years after the first film version, which resulted in Warner Brothers providing the Dahl Estate with total artistic control. Prior to Burton’s involvement, directors such as Gary Ross, Rob Minkoff, Martin Scorsese and Tom Shadyac had been involved, while Warner Bros. either considered or discussed the role of Willy Wonka with Nicolas Cage, Jim Carrey, Michael Keaton, Brad Pitt, Will Smith and Adam Sandler. Burton immediately brought regular collaborators Johnny Depp and Danny Elfman aboard. 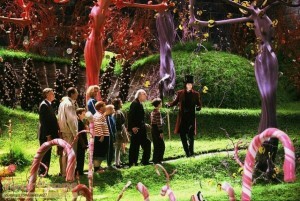 Charlie and the Chocolate Factory represents the first time since The Nightmare Before Christmas that Elfman contributed to the film score using written songs and his vocals. 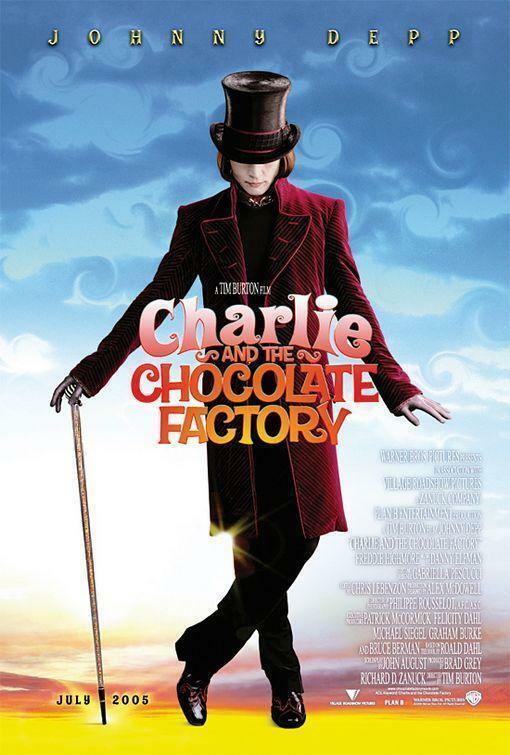 Charlie and the Chocolate Factory was released to critical praise and was a box office success, grossing approximately $475 million worldwide (source: Wikipedia). Willy Wonka, the world’s most famous candy manufacturer, decides to let five children into his chocolate factory. 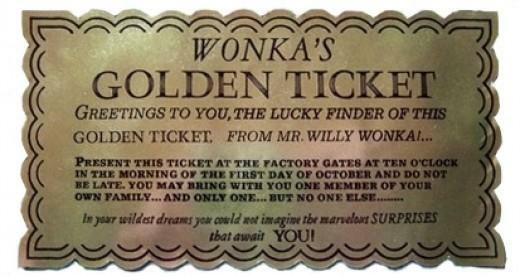 He runs a competition where five lucky children can win five golden tickets in five separate chocolate bars, causing complete mayhem. The fifth (and final ticket) is found by a very special boy, Charlie Bucket. 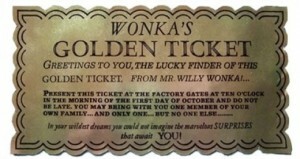 The other four children who find the golden tickets are rotten to the core. Chaperoned by his grandfather (who also used to work in Willy Wonka’s factory), Charlie joins the rest of the children to explore the very secretive candy factory. Nestlé provided 1,850 bars of real chocolate for the production of the movie. 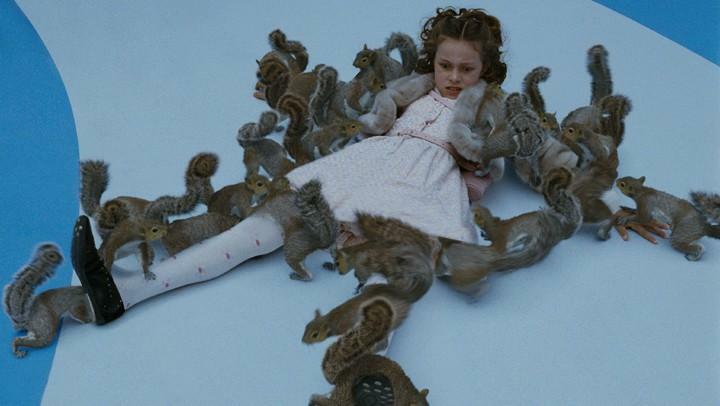 Forty squirrels were trained for the scene where they pounce upon the character Veruca Salt. The lollipops on the trees, the giant pink sugar canes, and the giant humbugs were real candy. 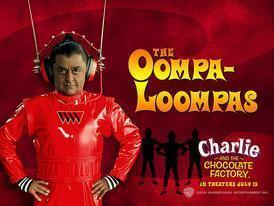 Deep Roy played every Oompa-Loompa himself, repeating the same movements several hundred times. While these were then put together digitally, each Oompa-Loompa represents a separate performance by Roy. In recognition of this, Roy’s salary was raised to $1,000,000. Some of the buttons in the Glass elevator: Incompetent Fools, T-Bone Steak Jell-O, Secretarial Poodles, Cocoa Cats, Mechanical Clouds, Stars in their Pies, Nice Plums, Up And Out, Fragile Eggs, Black Box of Frogs, Weird Lollipops, Mighty Jam Monitor, Creative Dog Flip, Elastic Forest, Leaky Canes, Dessert Island, Pie Cream, Spewed Vegetables, Naffy Taffy, Lickety Split Peas, Honeycombs and Brushes, Old Sneezes and Smells Dept. Television Room, Whizzdoodles, Chocolate Lip Rookies, Blackberry Sausages, Yankee Doodles, Orange Egg Flip, Root Beer Goggles, Pastry Room, Heart Shaped Lungs, Projection Room. Charlie’s father works at a toothpaste factory which makes Smilex toothpaste. 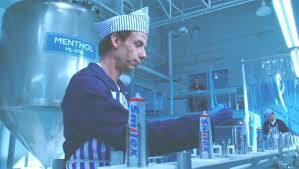 Smilex is the name of the products concocted by the Joker in Batman (1989), also directed by Tim Burton. 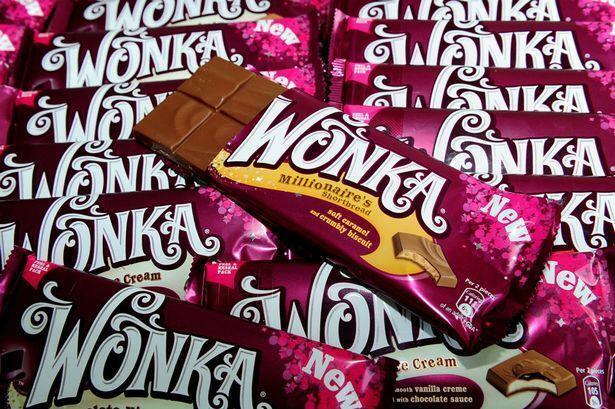 Wonka tells young Willy that some people are allergic to chocolate to discourage him from eating any candy. As a child, Johnny Depp was allergic to chocolate. The lyrics to four of the five musical numbers in the movie were written by Roald Dahl himself. The lyrics to the Oompa-Loompa songs are adapted from the original book, and are thus credited to Roald Dahl. 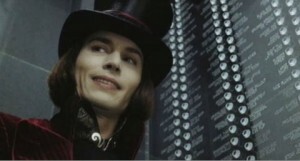 Willy Wonka’s colorful cane is actually filled with Nerds candies, which are sold under the Willy Wonka brand. Danny Elfman also wrote and performed the vocals for four songs, with pitch changes and modulations to represent different singers. Following Burton’s suggestion, each song in the score is designed to reflect a different archetype. 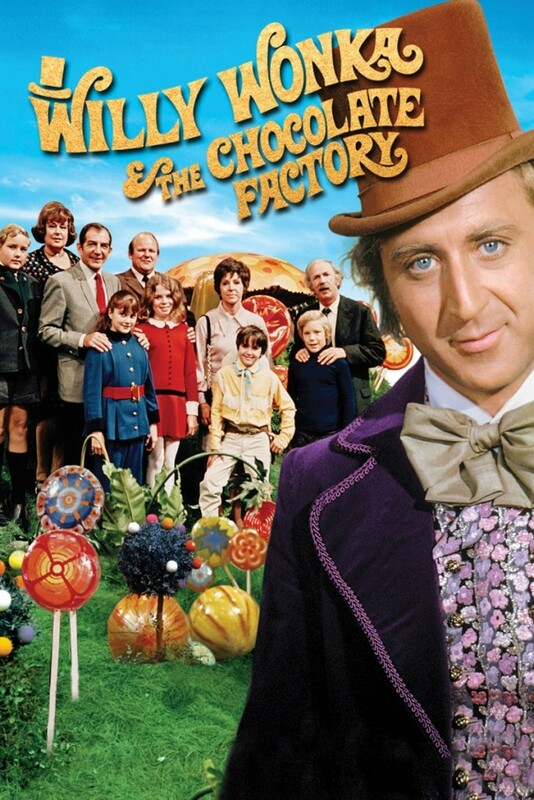 “Wonka’s Welcome Song” is a maddeningly cheerful theme park ditty, “Augustus Gloop” a Bollywood spectacle (per Deep Roy’s suggestion), “Violet Beauregarde” is 1970s funk, “Veruca Salt” is 1960s bubblegum pop /psychedelic pop, and “Mike Teavee” is a tribute to late 1970s hard rock (such as Queen) / early 1980s hair bands. In Charlie’s bedroom, there are wrappers of every Wonka bar he has ever eaten on the wall. This movie is the fifth Tim Burton/Johnny Depp collaboration in 15 years. This is the fifth film that Tim Burton and Johnny Depp have made together. The others are Edward Scissorhands (1990), Ed Wood (1994), Sleepy Hollow (1999), and Corpse Bride (2005). 206,563.48 US gallons (781,927.83 litres) of fake chocolate were made for the river area while 38,430.42 US gallons (145,474.96 litres) of it were made for the waterfall. The grand total of all the fake chocolate used on stage was 244,993.98 US gallons (927,403.1 litres). 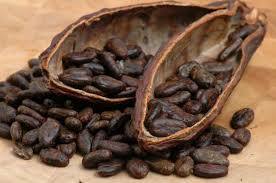 Cocoa beans are actually very bitter. Sugar and other things have to be added before they taste like chocolate. In the TV room scene, the movie that the chocolate bar was teleported into is implied to be Stanley Kubrick’s 2001: A Space Odyssey. The monkeys’ behavior towards the chocolate bar is a remake of the first scenes of the film; and the film’s theme music was also used in that scene. The flash-back about Willy Wonka’s childhood and his being obliged to wear a huge dental brace are not from the original book. The brace is a reference to Tim Burton’s own childhood. 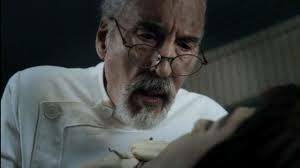 The role of Doctor Wilbur Wonka (Christopher Lee) was written specifically for the film to give the character of Willy Wonka a bit of a family history. 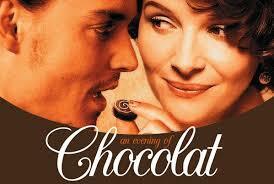 Johnny Depp’s second chocolate-based movie (the first being Chocolat in 2000). Depp doesn’t like the taste of good chocolate – he prefers the cheap, Easter bunny type. Johnny Depp was so impressed with Freddie Highmore‘s performance in Finding Neverland (2004) that he convinced Tim Burton to cast him as Charlie Bucket. 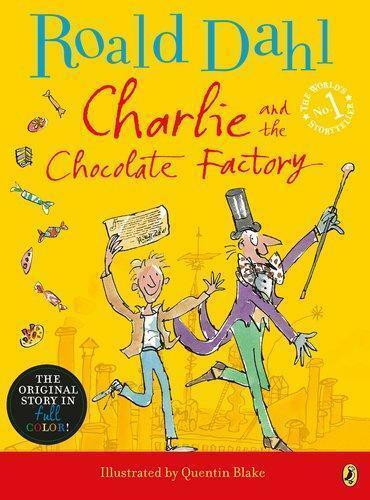 There was no sequel to Charlie and the Chocolate factory, but Roald Dahl did write a sequel to his hit book. 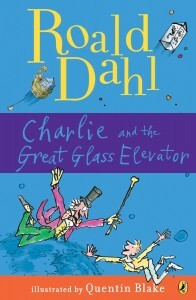 Charlie and the Great Glass Elevator is a children’s book by British author Roald Dahl. 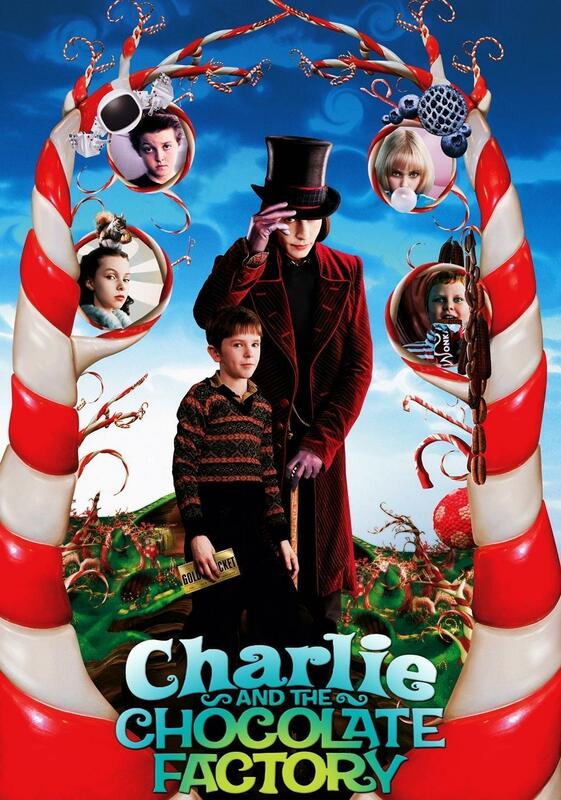 It is the sequel to Charlie and the Chocolate Factory, continuing the story of young Charlie Bucket and eccentric candymaker Willy Wonka as they travel in the Great Glass Elevator. 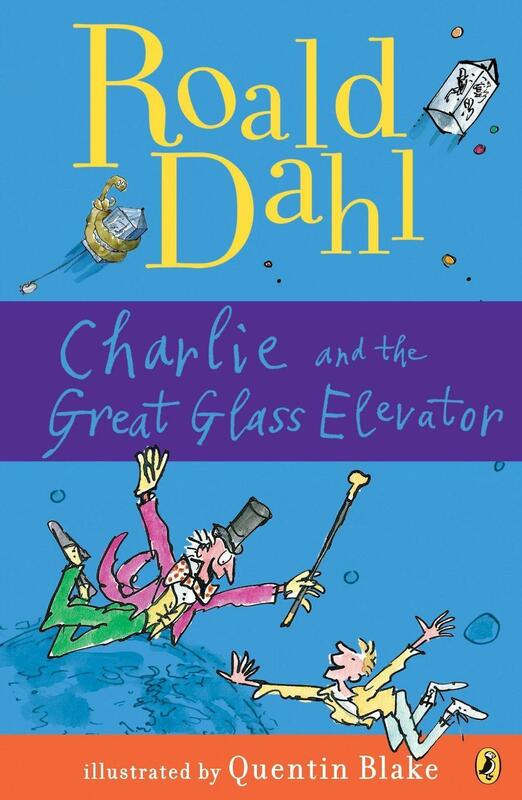 Charlie and the Great Glass Elevator was first published in the United States by Alfred A. Knopf, Inc. in 1972, and in the United Kingdom by George Allen & Unwin in 1973. Unlike its predecessor, a film version of this book has never been produced. Willy Wonka & the Chocolate Factory (1971) disappointed Dahl to the point that he refused to have a film version produced. 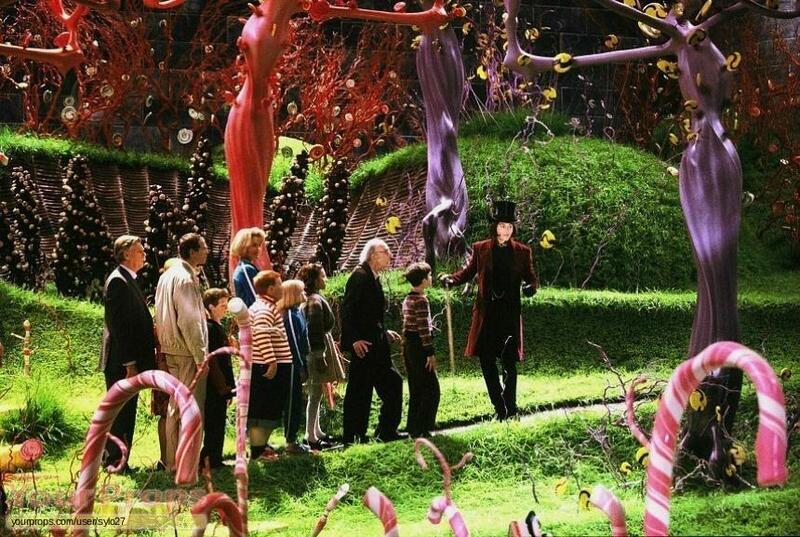 Tim Burton and Johnny Depp have announced that they have no intention of producing a sequel to Charlie and the Chocolate Factory although elements from Charlie and the Great Glass Elevator are seen at the end of the film. Dahl had intended to write a third book in the series but never finished it. A follow-up to the book was planned, called Charlie in the White House. Charlie’s family and Willy Wonka are invited by President Gilligrass to have dinner at the White House, as thanks for rescuing the Space Shuttle from its attack by the Vermicious Knids. Costume designer Gabriella Pescucci received an Academy Award nomination, but lost to Colleen Atwood on Memoirs of a Geisha. Johnny Depp lost the Golden Globe Award for Best Actor in a Musical or Comedy to Joaquin Phoenix in Walk the Line. More nominations followed from the British Academy Film Awards for Visual Effects, Costume Design (Pescucci), Makeup & Hair (Peter Owen and Ivana Primorac) and Production Design (Alex McDowell). 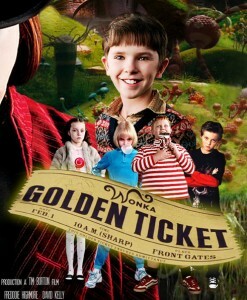 Charlie and the Chocolate Factory was also nominated for the Saturn Award for Best Fantasy Film, as well as Performance by a Younger Actor (Freddie Highmore), Music (Danny Elfman) and Costume (Pescucci). Elfman and screenwriter John August were nominated for a Grammy Award with “Wonka’s Welcome Song“.